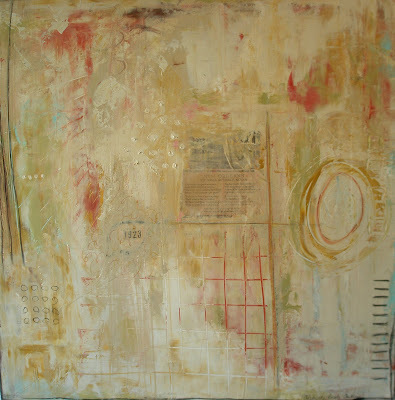 I'm currently showing the work of Michelle Rosato Tullis in the art gallery part of my shop. 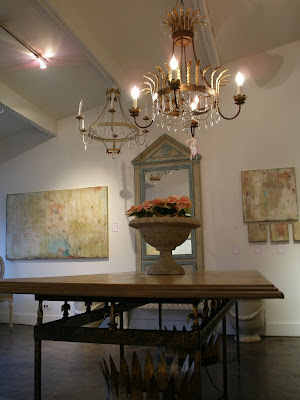 Michelle is a talented artist and interior designer who grew up in New Orleans. 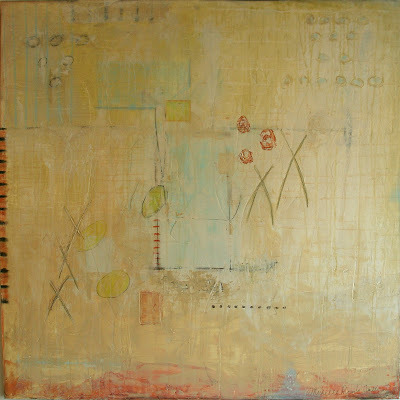 Working primarily in acrylic on canvas, she uses a collage format to produce her vibrant images. 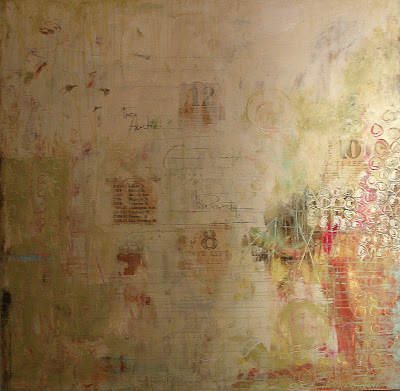 She loves the process of layering ideas and thoughts through texture and color, creating a visual story on canvas. 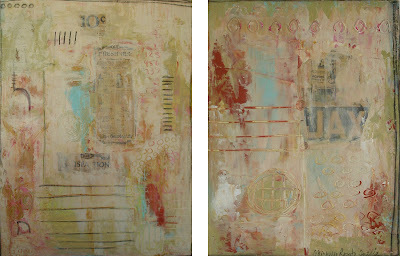 Michelle often uses copies of old letters from Europe and New Orleans giving her work a sense of history rendered thorough contemporary painting techniques. 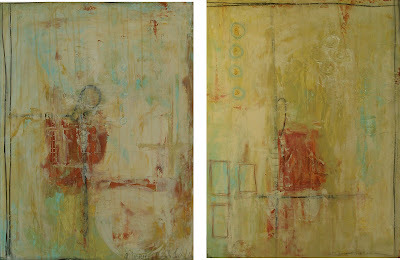 Her paintings come across as both fresh and timeless. Michelle recently came into possession of a bound volume of copies of The Times Picayune, our New Orleans newspaper, from the 1920's which she is currently using in her collages. 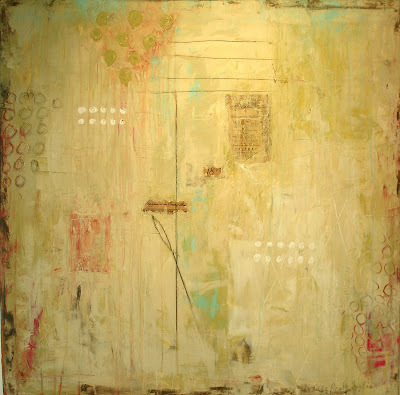 New Orleanians, nostalgic by nature, and even more so after Katrina, can't get enough of her latest pieces. It is so interesting to see advertisements for things long gone but not forgotten included within these pieces which are rendered in such an upbeat way. These paintings are not just about happy memories, they are beautiful jewel-toned homages to the New Orleans of long ago. Yet, one need not be a New Orleanian to revel in the pleasure of experiencing these paintings. 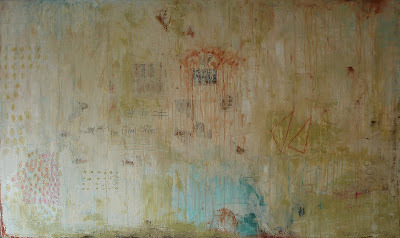 Her pieces which contain old real estate listings are very popular. It's fun to imagine a time when a beautiful home could be purchased for around fifteen thousand dollars or less. One local real estate agent has purchased several pieces as housewarming gifts for his clients. 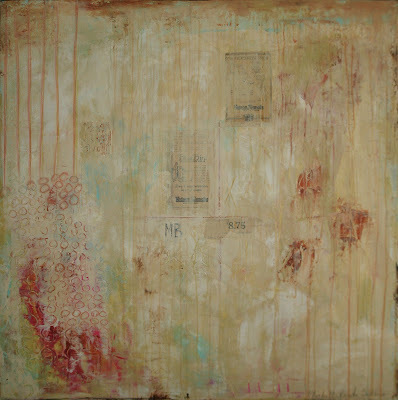 Although this current show will be ending this week, we will be placing Michelle's work throughout the rest of the showroom. It is a priviledge to show the work of this talented artist. I love how beautiful her things look in my gallery.